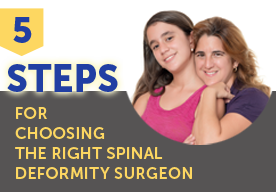 Dr. Lenke is Principal Investigator of the landmark international research trial, “Evaluation of Neurologic Complications Associated with Surgical Correction of Adult Spinal Deformity (Scoli-RISK-1): A Prospective, Observational, Multi-center Study” co-sponsored by AOSpine International and the Scoliosis Research Society. An accurate neurologic deficit rate in complex adult spinal deformity surgery is lacking. It is imperative to understand the acute neurologic deficit rate, correlates to any deficits, along with documenting postoperative improvement to inform our patients and set a standard for future research and for potential interventions to make adult spinal deformity surgery safer! Dr. Lenke has the largest patient enrollment from a total of 45 surgeon-participants worldwide, spanning three continents.